With emphasis on practical aspects of engineering, this bestseller has gained worldwide recognition through progressive editions as the essential reliability textbook. This fifth edition retains the unique balanced mixture of reliability theory and applications, thoroughly updated with the latest industry best practices. 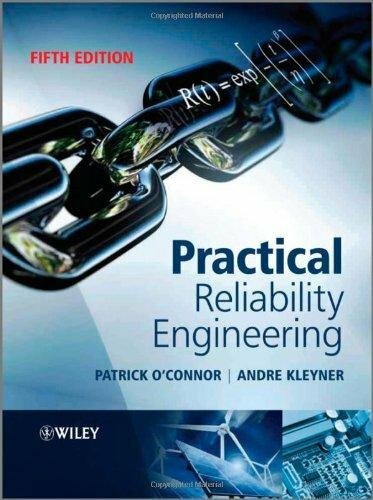 Practical Reliability Engineering fulfils the requirements of the Certified Reliability Engineer curriculum of the American Society for Quality (ASQ). Each chapter is supported by practice questions, and a solutions manual is available to course tutors via the companion website. Enhanced coverage of mathematics of reliability, physics of failure, graphical and software methods of failure data analysis, reliability prediction and modelling, design for reliability and safety as well as management and economics of reliability programmes ensures continued relevance to all quality assurance and reliability courses. - New chapters on applications of Monte Carlo simulation methods and reliability demonstration methods. - Software applications of statistical methods, including probability plotting and a wider use of common software tools. - More detailed descriptions of reliability prediction methods. - Comprehensive treatment of accelerated test data analysis and warranty data analysis. - Revised and expanded end-of-chapter tutorial sections to advance students’ practical knowledge. The fifth edition will appeal to a wide range of readers from college students to seasoned engineering professionals involved in the design, development, manufacture and maintenance of reliable engineering products and systems.